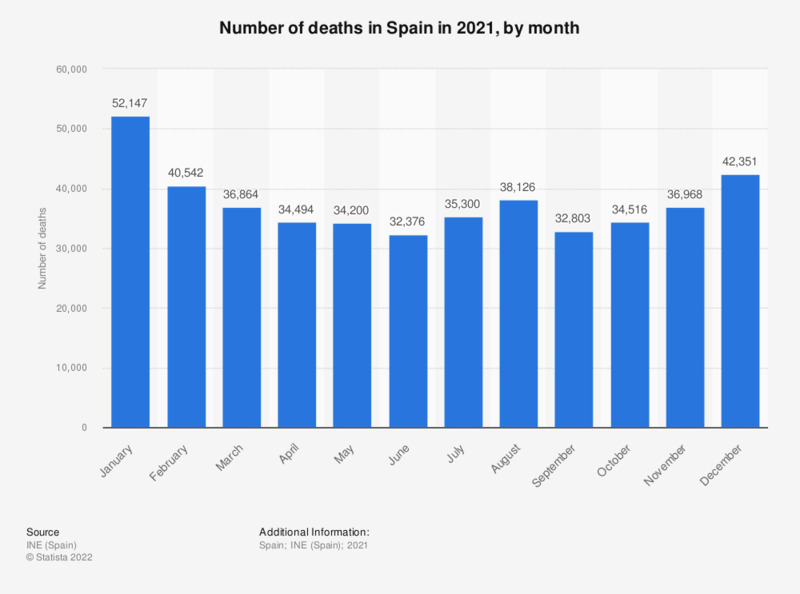 This statistic displays the number of deaths in Spain in 2016, by month. There were roughly 38.3 thousand deaths in January 2016 in Spain. In December of 2016 this number of deaths in Spain amounted to approximately 39.2 thousand deaths.